It was a pleasure to take along Olympic Gold Medallist, and 'I'm a Celeb' star, Sam Queck MBE to our clients Awards Day on Sunday 14th May. Sam went along as a surprise guest to meet with the finalists, where she shared some inspirational stories and experiences from her life and career as a top sportsman and now high profile TV personality. 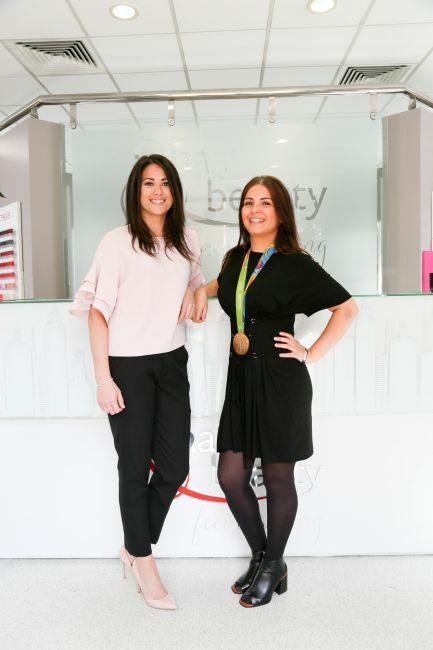 Sam is pictured with staff from her visit to the onsite beauty salon.